Please consult your doctor about using Prescription Smoking Cessation Aides. It is up to you and your doctor to determine if it will benefit you and you are able to take the medication. There are many precautions and side effects. Some people are recommended not to take the drug because of physical health problems or mental health concerns. Educate yourself so you can recognize adverse reactions, which can be both physical and mental, so you can act accordingly. Please look at website links and the Manufacturer’s Prescribing Information to educate yourself before and after you talk with your prescribing medical physician. CHANTIX (VARENICLINE) is a nicotinic receptor partial agonist drug approved by the FDA and manufactured by Pfizer. It is indicated for use as an aid to smoking cessation treatment. It actually binds to some of the receptor sites in the brain where nicotine would normally bind, inhibiting the effects of nicotine at that specific site. By blocking the effects of nicotine, smoking no longer produces the desired effects. If smoking is no longer pleasurable, it is easier to quit. In clinical studies 44% of patients using Chantix quit smoking in 9 – 12 weeks. ZYBAN is an antidepressant medication approved by the FDA and manufactured by GlaxoSmithKline, GSK. The active ingredient is Bupropion. 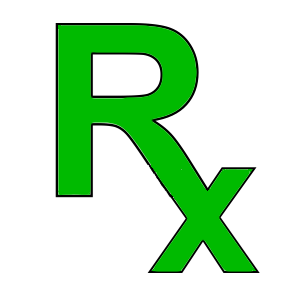 The drug is a reformulation of Wellbutrin to allow for a sustained release. It is prescribed as a smoking cessation aide. The actual mechanism of how it works to reduce the urge to smoke is unknown, it is presumed that the mechanism of its actions is mediated by noradrenergic (Norepinephrine) and/or dopaminergic (Dopamine) mechanisms. It is thought to balance the neurotransmitters in the brain. The effects of the antidepressant may help treat the symptoms of depression and anxiety caused by nicotine withdrawal. There is a Chat Room on the Main Pages. Please use the Chat Rooms to support each other. Each Step has a Blog. Please posts comments there.